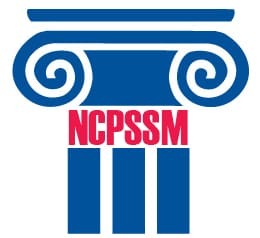 The National Committee to Preserve Social Security and Medicare (NCPSSM) was founded in 1982 by former Congressman James Roosevelt, son of President Franklin D. Roosevelt who signed the Social Security Act into law. Two additional leaders of prominence have also headed the organization; from 1989 – 2001, former Acting Commissioner of the Social Security Administration, Martha A. McSteen, and former Congresswoman Barbara B. Kennelly, who headed the organization from 2002 – 2011. Max Richtman, who served as Executive Vice President since 1989, was appointed as President and CEO in August 2011. The National Committee to Preserve Social Security and Medicare is the nation’s leading advocacy group that fights to protect Social Security and Medicare. We are a nonpartisan, nonprofit 501(c)(4) organization representing the views of millions of members and supporters nationwide. The mission of the NCPSSM is to protect, preserve, promote, and ensure the financial security, health, and the well-being of current and future generations of Americans. NCPSSM receives no federal, state or local government funding, and we do not sell any products, services or goods, which distinguishes us from other national seniors’ organizations. We are a membership organization supported through annual membership dues and contributions. Our NCPSSM members are engaged and actively participate in petition drives, letter campaigns, surveys and polls. To date, more than 88 million petitions and letters to Congress and the President have been signed by our members and supporters. The credibility and strength of the National Committee’s influence has been attributed to the success of many important legislative initiatives over our long history. We’ve successfully defeated many benefit cuts proposals in our thirty-plus year history. National Committee members helped defeat plans to use Social Security and Medicare to pay for unrelated programs such as the Congressional proposal to cut $950 million from Medicare to pay for Trade legislation and plans to cut millions in benefits to pay for the Highway bill. We defeated benefit cuts included in the 2004 & 2011 Balanced Budget Constitutional Amendment, President Bush’s 2005 campaign to privatize Social Security, the 2011 Congressional Super Committee, and recent attempts to adopt a stingier COLA formula for beneficiaries. Our Medicare victories include the removal of Social Security numbers from Medicare cards which is a big victory for protecting seniors’ from identity theft. We also led the successful 1995 campaign against a proposed $270 billion cut to Medicare and the battle against the harmful Medicare “trigger” in 2008. We supported important Medicare improvements in the Affordable Care Act, continue to fight against the GOP/Ryan budget’s privatization of Medicare and other proposals to cut Medicare benefits through means-testing and cost-shifting. A team of highly experienced policy analysts and lobbyists meets regularly with Members of Congress and their staffs to present the National Committee’s positions and make recommendations regarding current legislative proposals. Through its Political Action Committee, NCPSSM supports incumbents and challengers who have demonstrated a strong commitment to seniors’ issues. Voting records, campaign questionnaires and candidate interviews guide are considered when determining PAC support. The clear voice of our members and supporters is the National Committee’s most powerful asset. Their views – expressed through Capitol Hill events, petitions, email, phone calls, personal letters and our active social media communities – have long made a crucial difference in the outcome of legislation on Capitol Hill. Lawmakers know that National Committee members are a potent political force. Energized NCPSSM volunteers in their bright yellow shirts are familiar sights at Washington events where the National Committee’s voice on Social Security and Medicare rings loud and strong. We’ve delivered millions of signatures opposing benefits cuts to each and every Member of Congress, placed thousands of calls to Congress each year, and sent more than 15,500 emails to Members of Congress in 2015 alone. Our online community is an engaged and active force for change with more than a million interactions annually. In 1994, NCPSSM was admitted as a member of the Leadership Council of Aging Organizations (LCAO), a coalition of 72 of the nation’s non-profit organizations serving older Americans. By unanimous vote in 1999, NCPSSM became one of five chairing organizations for LCAO and since then has successfully led the coalition numerous times. The Board of Directors is elected by the NCPSSM members. The Board meets three times per year to provide strategic guidance and support for the work of NCPSSM staff. Leaders in business, government, policy, education, healthcare and advocacy fill the 14 board positions. The National Committee commemorated 25 years of advocacy in 2008, the same year we launched the NCPSSM Foundation, a 501(c)3 non-profit organization whose mission is to protect, promote and ensure the financial security, health and well-being of current and future generations of Americans through research, analysis and public education. The Foundation has led the first of its kind national education campaign, “Know Your Rights”, to educate LGBT Americans about their new rights to Social Security benefits thanks to the Supreme Court’s June 2013 Windsor ruling in the Defense of Marriage Act. In 2016, the Foundation launched Social Security Spotlight, a new report detailing the economic impact of Social Security benefits in states and local communities.